Home / SUPERHEROES / (Update) "The Avengers" Retitled To "Marvel Avengers Assemble" | Releases New Movie Trailer! 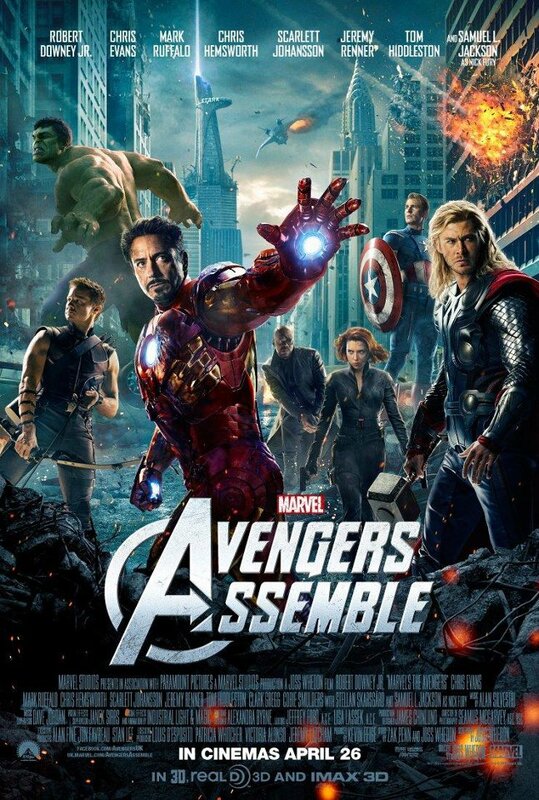 (Update) "The Avengers" Retitled To "Marvel Avengers Assemble" | Releases New Movie Trailer! The Avengers fans all over the world were shocked when they learned the news that the most-anticipated superhero movie gathering this coming April has been retitled and is now known as "Marvel Avengers Assemble". Coming up with a new movie poster (above) released recently with a retitled version, the Joss Whedon's film "The Avengers" was retitled and is now called "Marvel Avengers Assemble" was clearly for U.K. release only. A report said that this is not to be confused by the hit series in British television during the 1960's which also entitled, "The Avengers". In “Marvel Avengers Assemble” superheroes team up to pull the world back from the brink of disaster when an unexpected enemy threatens global security. [sic] of loyalty, hope and tenacity set against a sweeping canvas of rural England and Europe during the First World War. Fans don't have to worry which movie to watch, whether it's "The Avengers" or the "Marvel Avengers Assemble" because both of them are one and the same movie. It must be remembered that the former is the title for worldwide release (May 4, 2012) and the latter is for UK release (April 26, 2012) title only. Due to the new release of movie poster, expect ALSO a newer version of the "The Avengers" movie trailer in the coming weeks. For the meantime, please enjoy the current movie trailer of the "The Avengers", below. Yesterday, Marvel Studios released the official movie trailer of "Marvel Avengers Assemble" for UK release. Below is the said movie trailer as promised. Enjoy!